Steve Kuperfman of the Torontoist today provides a detailed account of sponsor backlash from the Toronto International Film Festival, dubbed "the friendly festival." According to his report, guests of Tuesday night's Baarìa premiere, were less than pleased at Visa's cardholder promotion, which offers a priority line to get in the theatre first, only for holders of Visa gold or platinum cards. He says the new system, which he says supplants the "first-come, first-seated rule of movie lines with a kind of arbitrary class system," elicited loud Boooo's from at least a quarter of the crowd when Visa was credited in the pre-show routine. 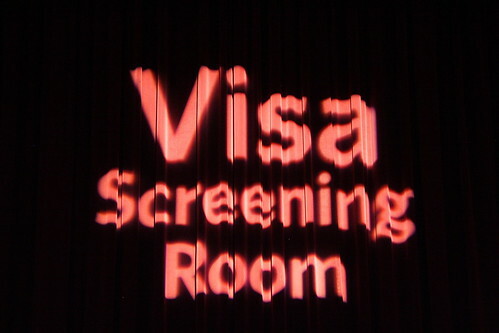 Visa's sponsorship, which dates back to 2001, involves various branding benefits including naming rights during the festival to the Elgin Room, which is called "the Visa Screening Room." However, it seems the crowd thought preferential seating was taking the sponsorship one step too far. Our take is, if you're paying $ for a sponsorship, you should most definitely take advantage of every right to pass those benefits on to your best customers. With that said, some properties are better suited for this type of activation than others. What do you think about the story?